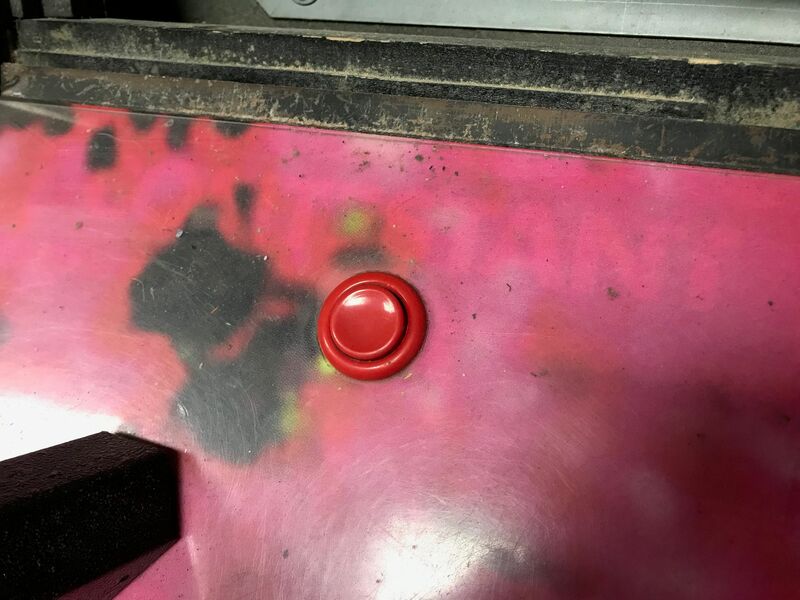 I've hinted at my goal of finding a good project piece on the arcade front that I could try my hand at restoration work. I've never considered myself much of a handyman but between various small projects at CoWork and smaller repairs with the games we own I've gotten more acclimated to that work and amassed a decent set of tools to work from. 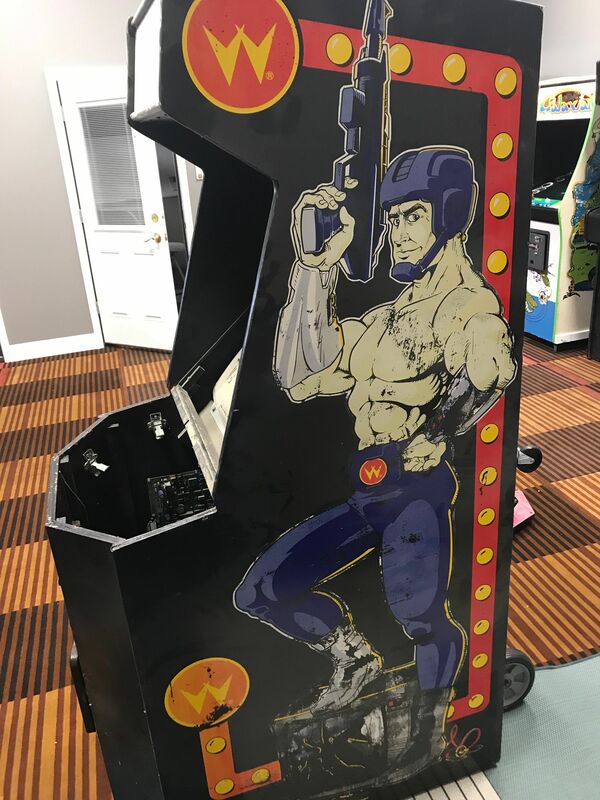 I had originally hoped to restore a Robotron 2084 and bought the ROM and Sound Board so that I'd be ready when I found a decent cabinet for it (in fact our Joust is in a Robotron cab, but I could never bring myself to gut it unless a better Joust came along to replace it, it's my favorite game in the collection right now). This past week someone posted about a Smash TV project where they had sourced all the parts and artwork, but after a year of it sitting they were giving up on finding the time to put into it. 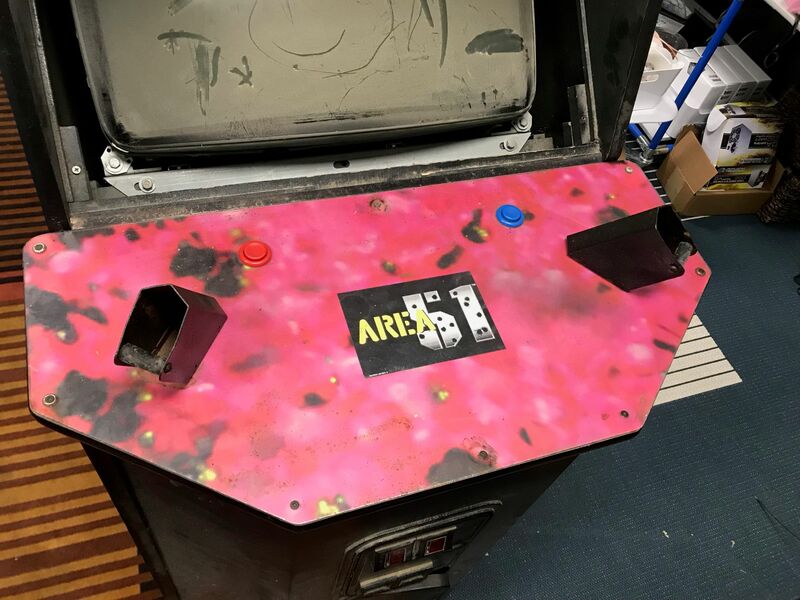 It was the siren call of opportunity that I couldn't resist and without a doubt a perfect test of the idea of framing a makerspace in arcade repair and restoration. 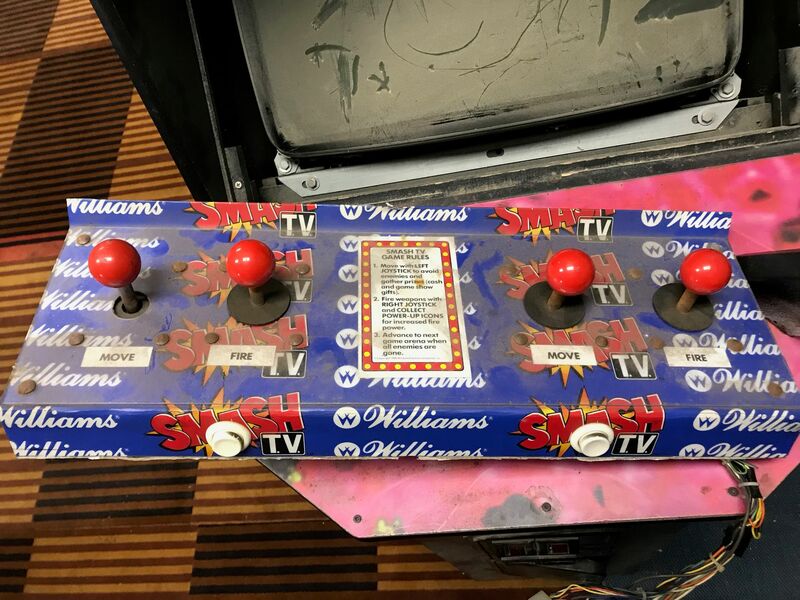 For anyone who hadn't heard of this game, it was designed by Eujene Jarvis (notable in that he is also the designer of Defender and Robotron 2084) and in many ways the gameplay mechanics of Smash TV is very reminicent of Robotron with dual joystick controls for movement and firing. The premise of the game is quite a bit darker, however, with the year set in 1999 and a popular game show in which the contestants battle for cash, prizes, and their life while it's all streamed to television for the audience's viewing pleasure. The inspiration from The Running Man (1987) is pretty obvious. 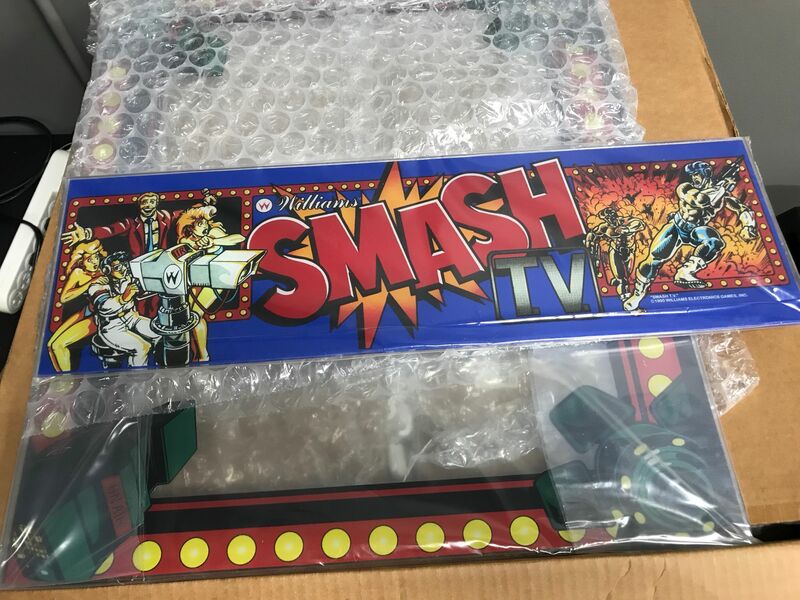 Smash TV came out in 1990, which makes it our first arcade game of that decade and was popular enough that it was ported to many other systems included SNES and Sega Genesis and saw a spiritual sequel in the game Total Carnage. 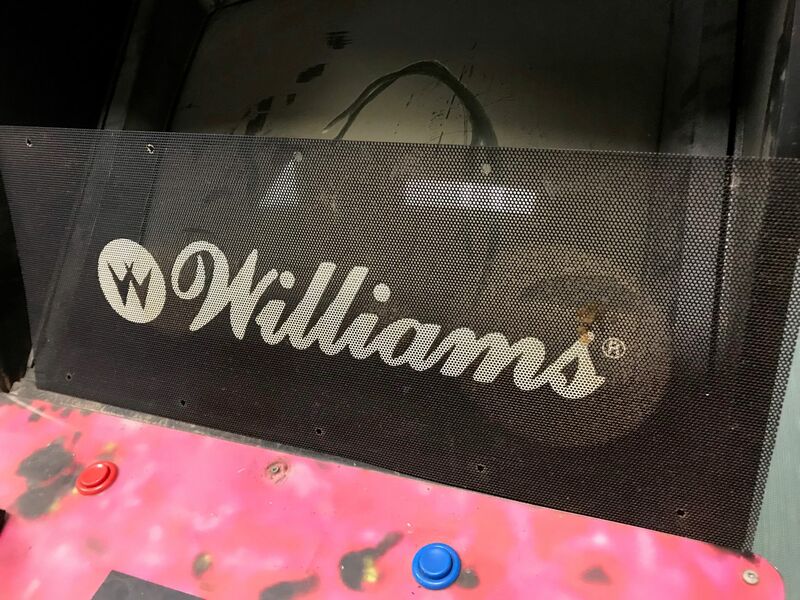 It also happens to be another in a growing collection of Williams games at Reclaim Arcade. 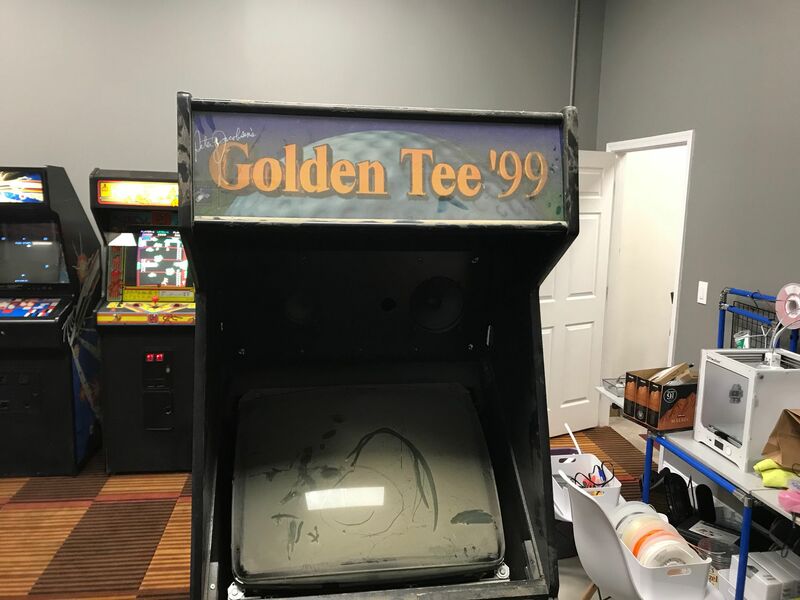 I will likely start by cleaning up the cabinet, removing all the Golden Tee guts, and seeing if I can get it to a point where the game boots and plays with what I have and then start the actual clean up and restore of all the artwork. So yeah, stay tuned as this project develops!